As a scientist and administrator, and as immediate past chair of the Alzheimer’s Association Medical and Scientific Advisory Council and a current member of the Association’s Board of Directors, I have seen the Alzheimer’s Association International Conference (AAIC®) grow into the world’s largest and most prestigious conference of its kind. It brings together more than 5,000 researchers from around the world to report and discuss groundbreaking research and information on the cause, diagnosis, treatment and prevention of Alzheimer’s disease and other dementias. AAIC is anticipated each year—because among other attributes—it is a catalyst for generating knowledge, new collaborations and partnerships, while fostering a collegial research community. Celebrating 25 years of progress while shaping the future of dementia science, AAIC 2013 in Boston hosted experts and researchers from more than 70 countries, and featured about 2,000 scientific presentations. This year, additional components of the conference sought to engage professional care providers and the general public. Dementia Care @ AAIC was a one-day international program featuring research that will drive best practices in person-centered care for individuals with Alzheimer’s and other dementias. I participated in a Community Research Forum to share the science released at AAIC with the public in an intimate forum. We covered the spectrum of Alzheimer’s disease and dementia research, including new treatment and prevention strategies, possible new risk factors, advances in early detection and diagnosis, and investigations into the causes and progression of the disease. Most kinds of cancer associated with decreased risk of Alzheimer’s: A very large study of about 3.5 million U.S. veterans indicated that surviving many kinds of cancer is associated with a significantly decreased risk of Alzheimer’s disease. The study also suggested that chemotherapy treatment for almost all of those cancers conferred an additional decrease in Alzheimer’s risk. The challenge to researchers now is to determine whether or not this can give us new ideas to pursue for Alzheimer’s treatment. Diabetes drug associated with reduced risk of dementia: Research has shown us that type 2 diabetes may double the risk of dementia. However, a new study of nearly 15,000 type 2 diabetes patients age 55 and older suggests that people with diabetes who started on the drug metformin, an insulin sensitizer, had a significantly reduced risk of developing dementia compared with people who started other diabetes therapies. Again, we still need to determine in additional studies, what role—if any—this drug may have in Alzheimer’s treatment. Older age at retirement at is associated with a reduced risk of dementia: An analysis of health and insurance records of more than 420,000 self-employed workers in France found that retirement at older age is associated with a reduced risk of dementia, with a lower risk for each added year of working longer. The researchers suggested that professional activity may contribute to higher levels of mental stimulation and social engagement, which may be protective against dementia, though more research is needed in this area. Self-reported changes in memory may be earliest clinical markers of Alzheimer’s: A number of studies reported at AAIC provided evidence that subjective cognitive decline (SCD) — which is the self-reported perception of memory or cognition problems — may in fact be the first indication of future Alzheimer’s disease. This certainly does not mean that everyone who experiences memory changes is bound to get Alzheimer’s disease or another dementia. It is very important now for scientists to determine what combination of symptoms and test results is the true indicator that Alzheimer’s disease is in someone’s future, and what changes are simply a part of the aging process. At AAIC 2013, an international group of Alzheimer’s researchers announced the formation of the Subjective Cognitive Decline Initiative (SCD-I) to develop a new research agenda for SCD. Online tests for Alzheimer’s do not measure up: A panel of Canadian experts reviewed 16 freely accessible online tests for Alzheimer’s disease, and found that the tests scored poorly on scales of overall scientific validity, reliability and ethical factors. No evidence of benefit in population screening for dementia: UK researchers reviewed a series of studies that looked at population screening for dementia and compared them with a routine pattern of care in the general population, among patients in general medical practice, and among patients in community care. The researchers found no evidence of the effect of community screening on patient outcomes including cognitive, mental and emotional health, social function and planning, and no indication of its added value compared to current practice. The Alzheimer’s Association recommends that people see their doctor for a thorough evaluation at the earliest signs of memory problems or changes. For the 10 Warning Signs of Alzheimer’s, visit www.alz.org. The importance of Alzheimer’s disease and dementia research is growing not just for people living with the disease and their families, but also for the general public who are concerned about the disease and the elected officials that represent us. The creation of the first-ever U.S. National Plan to Address Alzheimer’s Disease was a landmark event, and its ongoing refinement and implementation got a significant amount of attention from the attendees of AAIC 2013. I am honored to serve as chair of the Advisory Council on Alzheimer’s Research, Care, and Services. The council was mandated by the National Alzheimer’s Project Act to advise the U.S. Secretary of Health and Human Services on the development of a national plan for Alzheimer’s disease. As a follow up to testimony I and others provided the Senate Aging Committee in April, a symposium was held at AAIC to discuss current progress implementing the National Alzheimer’s Plan. The session included officials from the U.S. Government, the Alzheimer’s Association and scientists in the field. Attendees from around the globe were impressed that the plan has successfully stimulated funding for Alzheimer’s disease research in the United States; there was some consensus that the ambitious plan will likely lead to significant progress in the disease. Two other sessions had governmental and public policy focuses. The first was a presentation and discussion lead by the Center for Disease Control and the Alzheimer’s Association about The Healthy Brain Initiative they created for 2013. This roadmap is an effort to advance cognitive health and outline how state and local public health agencies and their partners can promote cognitive functioning, address cognitive impairment for individuals living in the community and help meet the needs of Alzheimer’s care partners. The second was a session convened by the Alzheimer’s Association to discuss the recent draft decision by the Center for Medicare and Medicaid Services (CMS) regarding coverage for brain amyloid imaging. AAIC offered stakeholders in the amyloid imaging world an opportunity to gather to discuss the decision along with ways to respond to CMS during the current public comment period. Attendees engaged in a healthy discussion, encouraging support for coverage expansion beyond the current proposal– essentially, covering one PET scan for brain amyloid in the context of an approved clinical trial. The next AAIC is scheduled for July 12-17, 2014 in Copenhagen, Denmark. I am already looking forward to seeing the advances made by the research community one year from now. 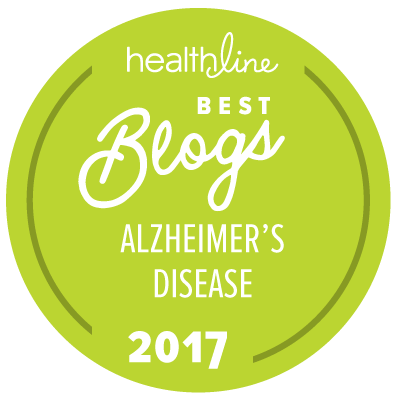 About the blog author: Ronald Petersen, Ph.D., M.D., is one of the nation’s leading experts in Alzheimer’s disease and the physician who diagnosed President Reagan’s Alzheimer’s disease in 1994. A professor of neurology and Cora Kanow Professor in Alzheimer’s Disease Research at the Mayo Clinic College of Medicine in Rochester, MN., Dr. Petersen is currently the director of Mayo Clinic Alzheimer’s Disease Research Center and director of the Mayo Clinic Study of Aging. He is immediate past Chair of the Alzheimer’s Association Medical and Scientific Advisory Council and is currently on the Association’s Board of Directors. He recently was honored at the Alzheimer’s Association International Conference® with the Henry Wisniewski Lifetime Achievement Award for his contributions to the field. I was diagnosed with dementia in Sept 2012 after years of symptom treating of ms suspect. Took meds for migraines for years and when something came up treatred a symptom. Took a downhill.turn over years physically, then almost total deterioration prior to New testing over 6.-.9 months. I’m 55 with two rare incurable diseases. I’m progressing fast, stay lifeless a lot!! Still have headaches, stiil randomly fall.down, still can’t get around get anything done. So confused..I’m just living in the moment when I can. Any advice or help? Please please hurry and find a cure!! 2 1/2 years ago, although we knew something "was wrong" some years before that. He is 78 years old and also has COPD. Where so you suggest that we seek help? Is there any way that this brilliant man can be of use to researchers like yourself? We live in New Bern, NC. Any advice would be appreciated. My dad has been diagnosed with Alzheimer's and is living in a memory care facility. I can see some of the beginning changes in myself that I recall seeing in my dad at my age. I wonder if my doctor won't approve my being tested if there are any other options I have to find out if I have early onset Alzheimer's. Thank you all for all your hard work and dedication to this deceace. I live in South Africa KZN Howick amber valley. I was diagnosed in 2011 January 13 th with EOALZ. I will be following your research and may you all be Blessed and guided by God. Any studies of metformin as a treatment for early stages of alz?